You can find Irina here and here on Ravelry. 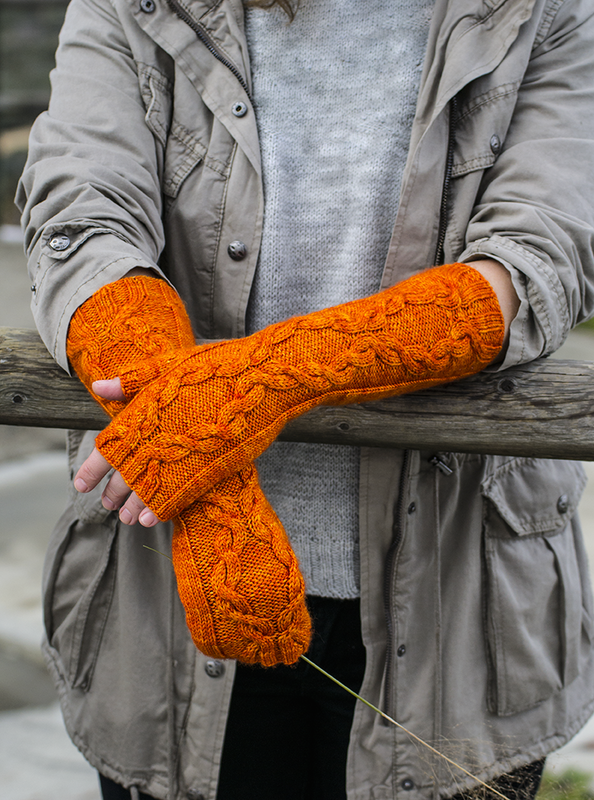 Some would say that Southern California where I have lived for the last 5 years, is an unusual place to find the inspiration for knitting design, but I find it here all the time. The wonderful combination of Spanish and Western culture produces lots of beautiful patterns, buildings and folk art. I love spending time in museums when I'm looking for the inspiration for stitch patterns or garment shapes and nature is a source for amazing color combinations. I find the most inspiring thing is the communication with the knitting community. 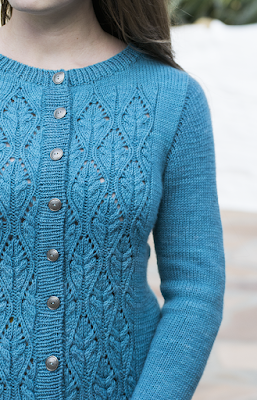 I never feel more inspired than after talking to my knitting friends! Ideas are almost overwhelming me after those conversations! I’m not sure if I have a favorite technique. I do love cables, lace and twisted stitch textured stitch patterns. I don’t mind finishing. I find it very soothing to see how the proper finishing makes the look of a garment defined and refined, but I also enjoy making seamless, almost finishing-free designs. It usually depends on the pattern, but I like to make a wide range of sizes. Most of my sweaters range from 30’’ to 50’’ bust circumferences. One of the first questions I ask myself when I start working on a new garment design is "will it look nice on different body types?’’ If I have doubts, I change the design accordingly. I love to see other designers’ work! I'm always in awe of their talent and skills. I don’t think it affects the ingenuity of my work. Every designer has their own approach and point of view, and I have my own. I read somewhere that a nicely written pattern can be a great teaching tool by itself. 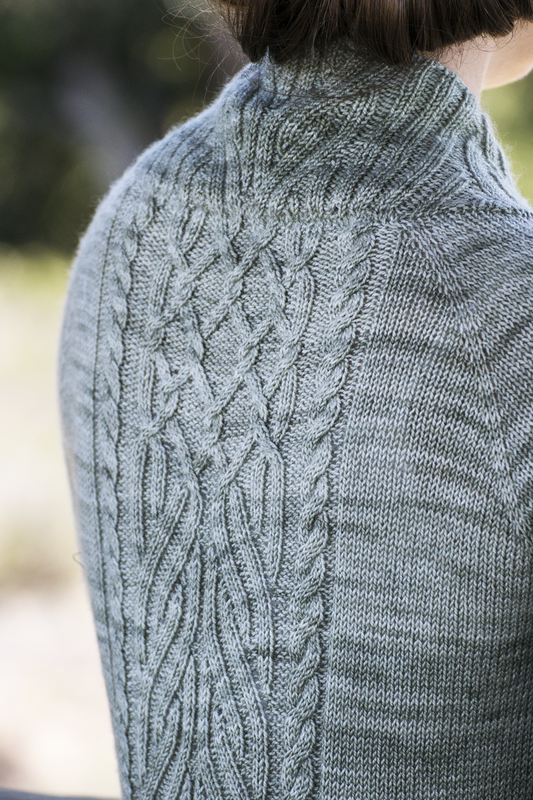 It does not necessarily mean that every little detail should be explained in full, but every knitter buying a pattern should have a decent explanation of new techniques, nice and clear directions and, probably, a link to an outside source. 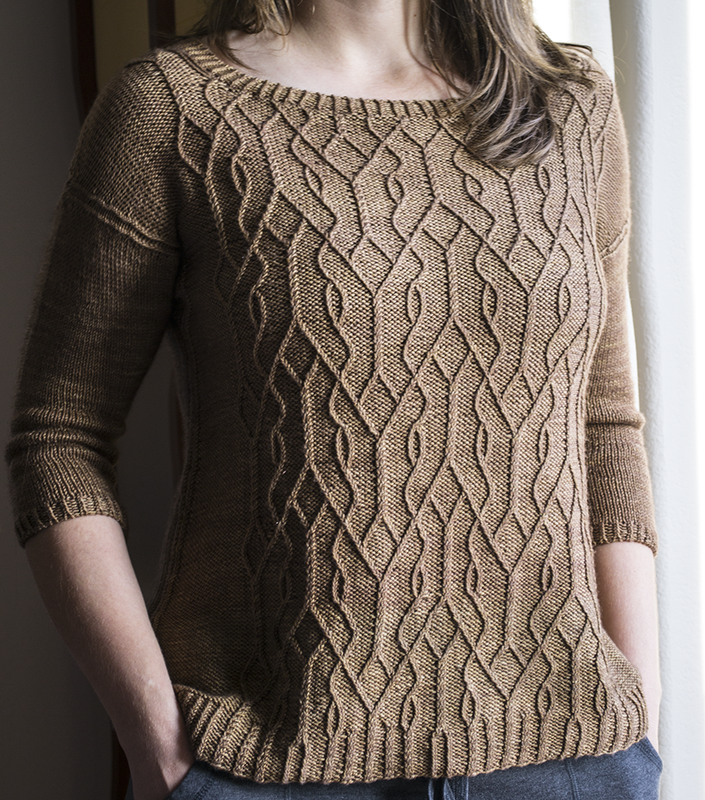 I can hardly believe it now, but when I started to design knitting patterns about 2.5 years ago, I had never used the short-row technique. Most of the helpful information I’ve learned about this technique was from well written patterns. I usually write the pattern first and then follow my own directions, working on the sample, so I'm the first test knitter. 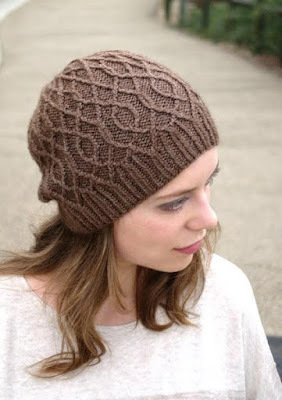 After that I always call for test knitters, usually through the Ravelry Free Pattern Testers group. I found there are lots of great, attentive and oh so talented testers and now I don’t know how would I work without them. Oh yes, I recently found a great tech editor: http://www.jamesbartley.co.uk/. I am striving to make the most helpful and error-free patterns and without a tech editor it's almost impossible. I work at home and it has some perks and difficulties. Of course, I don’t have to commute, dress and put on make-up for work, but it requires lots of self-control and organizational skills to get everything done. After a career in retail I hoped that I had grows a thick skin! Nevertheless, criticism is a chance to make my work better. Have I overlooked something? Is this an explanation which needs to be clearer? Sometimes one needs to be directed to the opportunity for improvement. Be prepared to learn a lot of things! When I realized that knitting design is something I am passionate about, I had to learn photography, web design and bookkeeping among other things. Don’t be afraid to act. Sometimes the doors we think are shut, are in fact wide open.